Beat everything, but the bread, in a medium size mixing bowl. 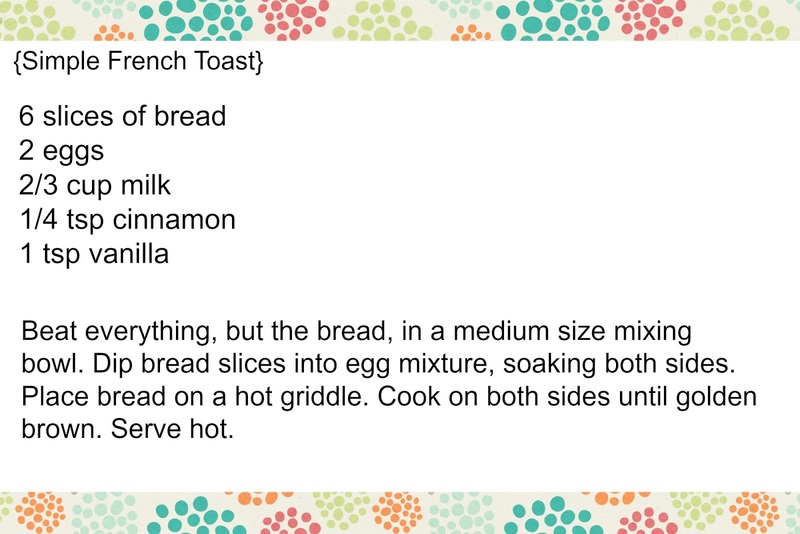 Dip bread slices into egg mixture, soaking both sides. 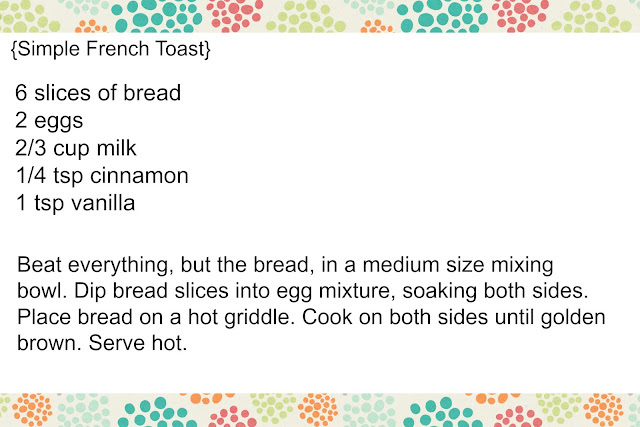 Place bread on a hot griddle. Cook on both sides until golden brown. Serve hot.